Once again, Celtic Week gave me a chance to play a variety of picks too. Now I own, a number of V-picks, that I really dig. 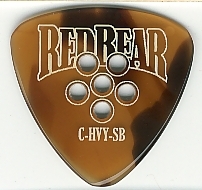 I have 4 Redbear trading picks, 3 of which I don’t use because I think they are too brittle and warp from my sweaty fingers. I have one Wegen left, which I don’t play. I gave my other one away. My go-to picks, when I don’t want to worry about losing a $4-$20 pick are ProPlecs, hands down. And this past week I got a chance to play two Blue Chip picks, that I really enjoyed. Here are my thoughts overall about these pick brands. 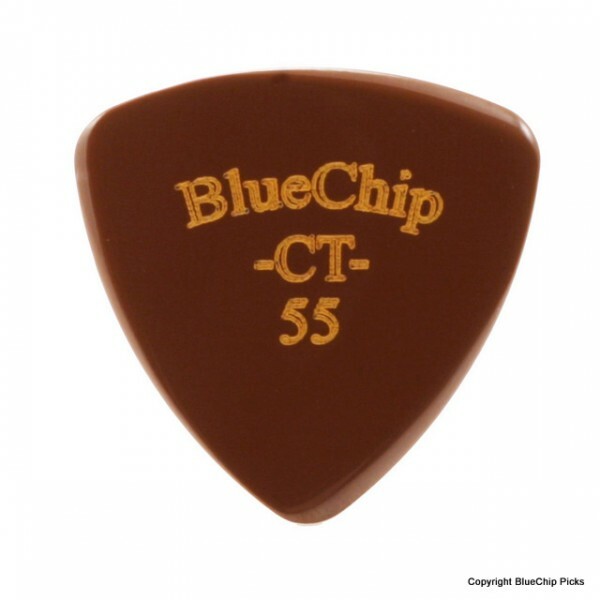 Blue Chip Picks – nice feel. Too expensive. Would play one, if I had it, probably more for flat picking on my guitar. Overall I’d rate these picks at an A grade. Unless they are made with some really rare mineral, I’d say, they are way overpriced though. Wegen – I didn’t like these from the beginning. They didn’t feel right. The Blue Chips had some weight to them, and felt solid in my hand. The Wegens just felt like rough plastic. I’d rate them at C+. V-Picks – Still my favorite. The fat stubby ones smooth out and really warm up the tone, on the mando. On my Octave Mandolin, the triangular 2.75mm reds, really drive the strings, although they do seem to wear off the tip quickly. The Medium Lites 1.5mm are excellent for flatpicking. They put a lot of energy in each string with less effort. The 1.0 tremelo works really for quick rhythmic strumming for reels and jigs. Although one of my students has broken a number of the tremolos, and that seems like $10 might be a bit much for something that breaks so easy. I give these an A+ rating anyway. Red Bear Trading Picks – These were my favorite for the last 6 years, until I found the V Picks. They have great tone, but not quite as great as the V-picks. They feel good, and their Tri-tips are excellent. Also, they don’t wear out. I have an extra heavy hot pink one I played consistently for 5 years, and its still got its bevel. Why don’t I like them that much anymore? I don’t like worrying about getting them wet (sweaty fingers, condensation from the glass of a cold drink). I don’t like having to worry what’s in my pockets. They scratch easy and can snap easy too. These get a B+ grade. ProPlec Picks – at 75 cents a piece, they have a great solid feel in your hand. You can lose them, and its no big deal. Their tone is pretty good, nice and rich. They don’t break. I give these a B+. If they had the tone of the V-pick or even the RedBear, because of the price they would get an A++, but its hard to get price, tone, feel, and durability all equal. Everyone has a different ear, feel, and budget, and in my mind a stellar musician can make a nylon dunlop sound fantastic, and a poor player can make a V-pick sound like crap. But hopefully, these little reflections will help you wade through the raging pick debate. A jazz guitarist friend of mine has been the recipient of a V – Pick and a new Red Bear Trading Co. Tri-Tip Extra Heavy pick. I wanted his opinion on them, as he’s into tone as well. Here was his response. I plan on writing more about the Red Bear Trading Co. Picks soon, but his short comment sums up my assessment too. I had a chance to try out a number of plectrums, also known as picks, on my mandolins this month. These were Wegens and V-Picks. Since I liked the V-picks best, I decided to write a short review on what I found. When I first got into traditional music I had a guitarist friend who raved about getting great tone from really expensive picks. He would show me his vintage tortoise shell picks and exclaim how wonderful they were. Since I couldn’t get any tortoise shell picks (as they are illegal), I found the Red Bear Trading company, and I invested $40.00. In two picks. That was 6 years ago. I lost the medium gauge pick, but still have my pink and white extra heavy tri point. (I don’t think they make that color anymore.) It’s got some ridges in it now, and has discolored a bit, but that has been my favorite pick for these last 6 years, as I transitioned from Guitar to Mandolin. How I never lost it, I can’t say. One of my students decided she wanted to try out some new picks, and so purchased a number of Wegens, V-picks, and Red Bear Trading picks (Still on order. Looking forward to trying out some new ones. ), and she bought me a few as well. The first V-picks she gave me were super heavy. I think they were 2.75 millimeters, which I thought would be ridiculous. One was a sharp pointy, candy red, clear triangular pick. The other was a little stubby glow in the dark rounded pick. At first I thought I was going to hate these little guys. Then I started playing with them. Then I started using the sharp pointy triangular pick on my octave mandolin. It drove the sound board hard, and both chording and melody were a joy to play, with more volume and more tone. I have a habit of dropping picks when I get into a really intense set of tunes, from sweaty fingers, but these stay right in place. So I ordered a few more. I ordered the clear rounded tremolo, the large 1.5 mm rounded pick, and also a pearly gates medium rounded (same thing as the glow in the dark pick, but shinier). 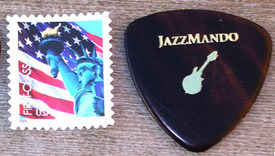 Vinni threw in a .75 mm traditional guitar pick, and shipped the order out the same day. They were in my possession in three days. 1 mm and 1.5mm V Picks – Not my favorites, but still pretty good. If you want to drive your mandolin, increase the tone and volume, and really enjoy playing, I’d highly recommend a V-pick. Remember, I don’t play bluegrass, I play Irish Celtic Music, and the fatter picks work really well for me. I also play a flat top mandolin, and these picks make my mandolin sing. The student who got these for me, prefers the Wegens overall, so far. She has an archtop Weber F-style Mandolin. My thought is, that the difference between the arch and the flat top may make a difference. The Wegens are nice, but they are third on my list of top picks at the moment, tied with ProPlecs. I personally think her mandolin sounds wonderful with these fatter V-picks too. Looking forward to getting a new set of picks from Red Bear Trading, and I aim to do a review of those as well.